Issue 7 of The Ride goes on sale on February 7th, and I've got a rather nice piece in there about Tour climbs and sprinters. You can visit The Ride Journal's website to find a local dealer, order a back issue, or download PDFs of earlier issues for free. Can't wait. 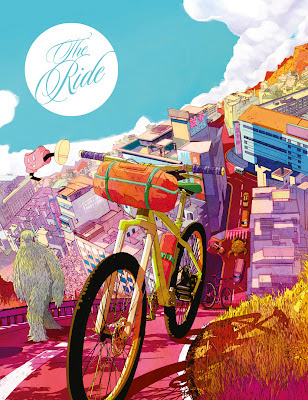 I do like The Ride Journal, especially the fantastic artwork they use for their front covers!